So I've got a friend who works for Google and was able to get a Google+ invitation early on. It took about a week for it to actually work but once it did I was excited to get going. I LOVED the idea of circles. Facebook has the ability to group people acciording to how you know them. But it's a confsuing process. Besides, I'm somewhat of a Google evangelist. I'm forever hearing stories about people losing all their contacts after flushing/losing their phone or losing documents or pictures due to hard drive failures. So I tell them, get a Gmail account and sync your phone with your contacts. That way if you lose your phone you still have all your contacts and by just changing your password can prevent whoever has your phone from accessing them. Or use Google Docs & Picasa to store your documents & photos. You can pick & choose who you want to share them with too! So when I heard that G+ not only had circles but I can link it up to my other Google products it seemed like a happy marriage. Hopefully it's just a matter of time but it's not quite a Google paradise. 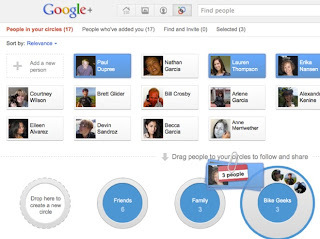 Pluses - Like I said before, G+ makes managing & organizing your friends easy. It suggests people who you already know and you just drag & drop them into the right circle. You can new circles or rename existing ones to account for virtually any group. 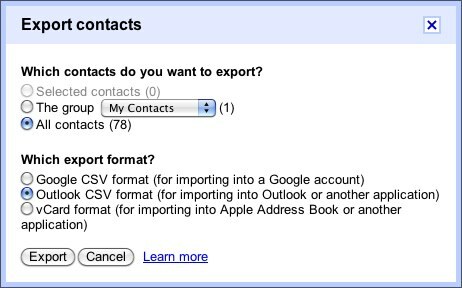 Just like Facebook's "Friend Finder" you can import contacts from other email services like Yahoo or Hotmail. If you want to make a full break from FB you can export your friends to Yahoo and then connect Yahoo to your G+ account. It's a little convoluted. But it works (or so I'm told). Minuses - It seemed like a no brainer to me that G+ would automatically (or at least give me the option) import my Gmail contacts. 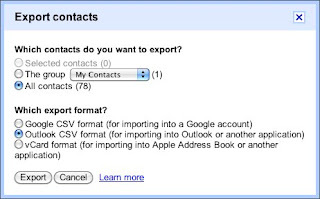 So now I need to find out which contacts it didn't find, export them from Gmail in a CSV, and then import them into G+. You also have to be careful you don't double up on people you have mutiple email addresses for. It's easy enough to correct (just open the circle, highlight the duplicates, and click delete). It's just a hassle. Pluses - Google makes it really easy to manage your pics and who gets to see them. First off you can link up your Picasa account or photos from your mobile device. The best part is that by default no one can see them. You have to choose to share them with people. Minuses - The mobile phone photo interface with the iPhone is sloppy. The photos don't automatically get uploaded to G+. Your "from your phone" album takes FOREVER to refresh. Perhaps this is just because they were in a rush to get the iPhone app out. It's easier to just update the app later on. Pluses - Your feed isn't full of spam about Mafia Wars, Farmville, or other stupid social games. I also find that sharing links, video, & photos is really smooth. Minuses - I don't like that a new comment makes a post jump to the top of your stream. So if you comment on a post of someone really popular (ie: Larry Page, CEO of Google) their posts will forever be at the top of your stream. My final beef is that G+ connects with only a limited number of other Google products. I already gave the example of Gmail contacts. But seeing as your public profile acts as a sort of microblog it would make sense to be able to connect with Blogger. Or at least make work-arounds better. Log into G+, click on the Circles button up top, then click Upload address book, and import the CSV file you just exported from Gmail. Search for the address by name you saved it as and then drag & drop it into a new circle by itself called Blog. 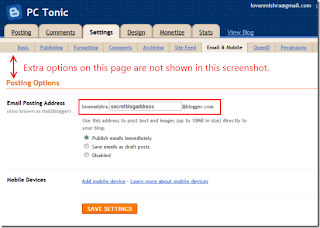 When you want to post to your blog simply select that circle under posting options. It might ask you if you are sure you want to email the post to the person. Of course say yes. 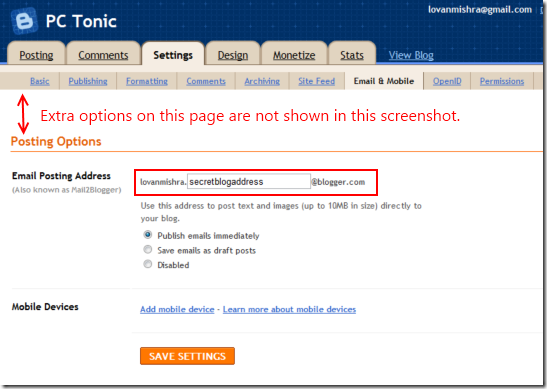 Now when it shows up on your blog it will be formatted like a post on your Google profile. But it works! The major drawback to this is that when I did it on my iPhone (app & Safari) the post didn't go through to Blogger. of course this is all still in Beta testing!